With the current boom in MP3 culture, it seemed like taking that idea and applying it to the world of music would be an interesting and highly relevant one. So with that in mind, I introduce you to the very first installment of Masterpiece Mixtape, a bi-weekly examination of pop music in all its glory. From Bob Dylan to Burt Bacharach, from Ray Charles to Rammstein, we're not only going to be kicking out the jams, we're going to be sugaring and preserving them as well. So to really kick things off, I figured we'd start with an upbeat, bombastic track that works well as an opener to any mix CD, and just so happens to be by my favourite band of all time. 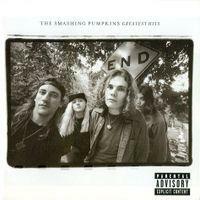 After having dominated the alternative rock charts for most of the ‘90s, the Smashing Pumpkins decided to call it a day towards the end of 2000. It had been a rocky few years for the band. Touring keyboardist Jonathon Melvoin had died in 1996 due to a heroin overdose. Drummer Jimmy Chamberlain, who had drug problems of his own and had been shooting up with Melvoin when he OD'ed, was soon fired from the band. The first album to be released after the high-profile drama, Adore, was met with mixed reception, its overall sound a wild departure from the Pumpkin's earlier, more successful efforts. Their return to rock with 2000's MACHINA: The Machines of God was also met with a great deal of indifference. It seemed that whatever magic the group had together had dried up, and with teen pop sensations the order of the day, frontman Billy Corgan made the announcement that the Pumpkins would be officially splitting. But before they took their final bow, they released one last song. Originally intended to be a radio-only single, the track ended up on their eventual Greatest Hits album. Released without a title, the song works as a fantastic epitaph to the Pumpkins. It captures them at their best, with its expressions of joy, loneliness, love and hope all wrapped up in one heartfelt song. The pervasive image of the Pumpkins and of Billy Corgan is one of pessimism and depression. This was reflected when Homer Simpson met the band and thanked Corgan for getting his kids to stop hoping for a future he couldn't possibly provide. The thing is, however, that while the Pumpkins were certainly a band that explored dark themes, they were also very optimistic, forever celebrating the majesty and wonder of life. Untitled is a perfect example of this. Not only is it a joyous song lyrically, it's also quite uplifting musically. From its rushing guitars to its resonating drums, it's a song that, listened to at the right time, can leave you breathless. Even Corgan's voice, which can be hit and miss for some listeners, manages to find a tone that presents itself at its finest, ranging from delicate and comforting to as cutting as razor wire when need be. The guitar solo at the very end sounds off as the postscript of a band that changed the musical landscape of the 1990s, if not the landscape of rock and roll as a whole. Of course, word is now that the Pumpkins are recording an album as part of a comeback set for this year. Will they have an all new sound, or did Untitled serve as a promise of what we're to expect? I know I, for one, am eager to see what they come up with.